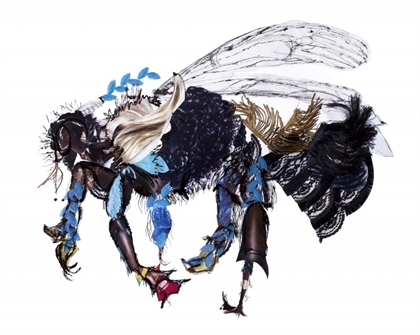 Insectes du Surinam 33, 2019 by Dominique Paul as part of Miyako Yoshinaga Gallery's 20th anniversary. The artist's preferred medium are video installation, photography and interactive multimedia. Dominique Paul has exhibited in Canada, Australia, England, Japan, Mexico, Slovenia, the U.S. and France.